My ageing Windows desktop PC has finally reached a point where I need to replace it. The processor now struggles with the modern day demands of my rather large Lightroom Catalog and Preview files which just take too long to render. I no longer have the patience to sit and wait. No, the time has come to get something new, shiny, sleek and a dam sight faster. How Long Should My PC Last? How long should I expext my Photo PC to Last? On the 10th January 2013 my Windows Desktop PC reached it’s 5 year anniversary and what was once considered state of the art is now indubitably antiquarian in the computing world. Once able to whiz through Windows at a relatively lively pace, it plods like the PC-pensioner that it has become. It bears little resemblance to the original specifications when first acquired, as I’ve added, replaced and pushed this mysterious black box to the limit, just to cope with my burgeoning library of ever-more-processor-demanding software and an image library that now stretches well over 2 terabytes. To be honest, it’s really struggled through the last couple of years, with a seemingly endless number of failures including several hard drives, the DVD drive, RAM chips, and some odd boot up and BIOS problems to name but a few. I’ve lost count how many times I’ve had the PC out from under my desk and the side panels off, but I bet it must be pretty close to a hundred times by now. It’s now got to the stage that when I switch on my PC in the morning, I may as well go and have a cup of tea, because like me, it takes quite a while to wake up and get ready for work. For quite some time now many of my friends and work associates have been telling me to get a Mac. It seems those who switch from Windows never look back. I’ve been a staunch user of Windows since version 3.1 however (I grew up with DOS … remember that? ), but if you’ve read some of my earlier blogs you’ll know that I’ve often vented my frustration with the way Microsoft has been heading in recent times and the terrible debacle of Windows Vista still leaves a sour taste in my mouth. Windows 7 is a vast improvement on the pitiful Vista but inherent Vista bugs still lurk behind the scenes in Windows 7. If you run a vast array of different software like me, then crashes, dead screens and locked keyboards are still a far too common an occurrence for an OS in it’s 7th generation. It’s precisely Windows poor performance at dealing with ‘rogue software’ and inability to provide the user a speedy recover that probably annoys me the most. Well I’ve finally swayed to the dark side and have been in possession of a shiny new 15-inch, Core i7, MacBook Pro for several months now; probably just enough to get familiar with the new operation system and acquainted with the MAC world. There’s no doubting the MacBook Pro is a sleek, ultra attractive, and highly desirable piece of kit, which on looks alone beats the competition hands down. But what about under the hood, can the Mac OS X persuade me to leave the Windows camp? Well the Mac OS X wins hands down on this one and has a significantly speedier start than Windows 7, even when compared to a brand new Windows 7 install. This is how a PC should start up. The more software you have installed on a Windows PC, the longer the start up seems to take, to the point you may as well go and have a cup of tea. I know this is largely due to installed programs loading memory resident (and largely un-necessary) utilities, which often check-in with the mother ship online first, before releasing your PC back to you. If you have a lot of software installed, these really start to build up and slow your machine. You can of course turn them off, but this is cumbersome and a major flaw in Windows efficiency. One to Mac. I can’t really pick a winner here. If we went back a few OS generations then the Mac OS was clearly better looking than Windows, but now Windows 7 looks as sleek as anything that Mac has to offer, and to be honest I think I prefer it (slightly) too. 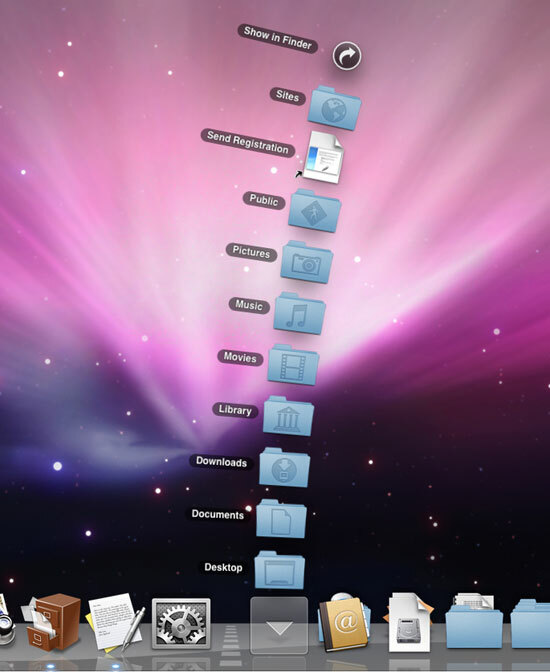 The MAC certainly has a certain style, which MAC applications tend to follow, but it works for some but not others. I’m sorry Mac fans, the Dock is just awful and my opinion the single most detrimental feature of the Mac OS X. I know some of you may love the Dock but to me it just looks plain childish. The Windows taskbar is just streets ahead and the single biggest function that missing on the Mac OS. If there were a taskbar application for the Mac OS that emulated the Windows one it would go a long way persuading me to jump for good, but as it’s stands no. The Dock is just about acceptable with a few icons, but once you start acquiring many more they soon gets too small to use. The Dock divider looks a tad naff, and the way your downloads folder arch’s out into the screen is just plain odd. The Taskbar is neater, far more customizable, and just so much easier to use. Sorry MAC fans. Another hands down win for Windows 7 here I’m afraid. I’m just not won over by Finder. The Explorer for me is far more functional and easier to use than Finder. Sure the fancy scroll view is nice and the link to Preview is very good, but copying, moving and transferring files is just so much easier within Explorer. The feature I really miss I really miss the folder tree view pane. I just can’t imagine why Apple didn’t include this. I also find files lists much easier to read in Explorer; the font combined with the alternated banding I just find harder to read, but that may just be me. I’m sure there’s a way to alter this, I just haven’t found it. I’m not a huge fan of Windows 7 Aero Peek. This gives you a quick view of your desktop if you hover over the (unlabelled & un-iconized) Peek button at the far right of the taskbar (you can also achieve this by holding down the Windows key + spacebar). It leaves the outlines of any un-maximised windows on the desktop preview but quite why you would want to see these is is beyond me. If I want to see the desktop I’ll simple click the dam button and minimise everything. The Aero transparency I view as just a gimmick and turn it off as it needlessly uses up extra processing power. The old Alt+Tab key still allows you to cycle through the open windows (taskbar buttons), but the ‘procession’ graphics version via Windows Key + Tab, whilst looking flashy, I find I don’t use at all. Mac on the other hand has Exposé which performs a similar function but shrinks all the open windows on the desktop you you can see what’s running. Exposé is invoked by the F3 key. What’s nice about Exposé however is that you can assign different functions to hotspots at the four corners of the screen which are then invoke by simply hovering the mouse cursor over hotspots. These can be further enhanced by using Spaces which gives you several virtual desktops in which you can already have a number of programs open and ready to use. Mac defiantly has the edge here in usability and I gather in the next OS X upgrade the functionally of Spaces and Exposé are going to be combined into one. 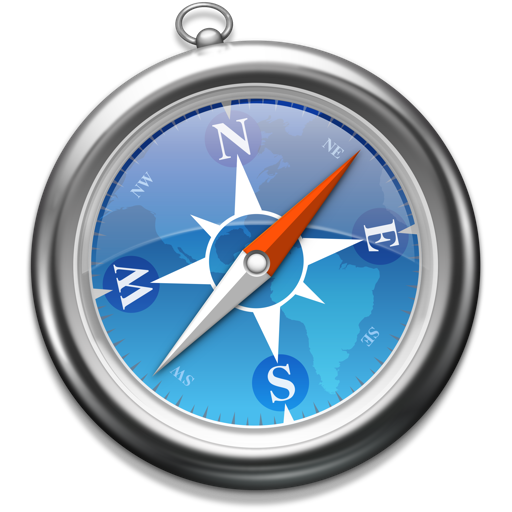 I guess it’s a little unfair to compare these as Safari is available to both platforms, although in browsers circles it doesn’t really get that many plaudits. However, I’m reasonably impressed with Safari. It’s responsive, displays the content well enough and I particularly like the way you can add bookmarks and favourites in horizontal menu fashion just below the URL bar which is pretty neat. However, whilst I tend to use Safari on my Mac, I find I still migrate back to Internet Explorer when on my windows desktop even though Safar is installed. A score draw here. So far the MacBook Pro has performed admirably, although I have manage to crash it several times, however on all these occasions it’s just a simple off, then back on and the system recovers very quickly without any adverse affects. How I wish I could say the same about windows 7 but sadly that’s not the case. I will admit, I use far more software on my Windows system than I do on my Mac, so it is a rather unfair comparison, but I get totally fed up of crashes and then being forced to boot up in safe mode, and then re-boot again. It can often take 20-30 minutes to get back to where you were. Windows system updates drive me mad too, and many has been the time my system has crashed after a System update has been installed and I’ve been forced to go back and initiate a system restore point. With the Mac it’s never had a problem doing an update. A windows seem to issue huge quantities of updates, can’t they just get it right in the first place? Sleep mode: on the MacBook pro this works flawlessly; I can even just close the lid and it will restart exactly where I left off when the lid is opened in just a few seconds. With windows it’s hit and miss whether your PC is going to restart at all. Most of the time the sleep mode works fine, but is slow to resume, but sometimes it just locks me out all together and only a hard re-boot can restart things but then it’s the whole rigmarole of going into safe-mode and a further reboot. Microsoft still haven’t cracked this one yet. A resounding win for the Mac on this front. If it’s by Apple, it’s going to be expensive right? Well not in the operating system stakes apparently. I’m still smarting over the £170 I had to pay to get Windows 7 Professional 64-bit for my desktop, whereas those Apple uses who upgraded from Leopard to Snow Leopard only had to pay £25. 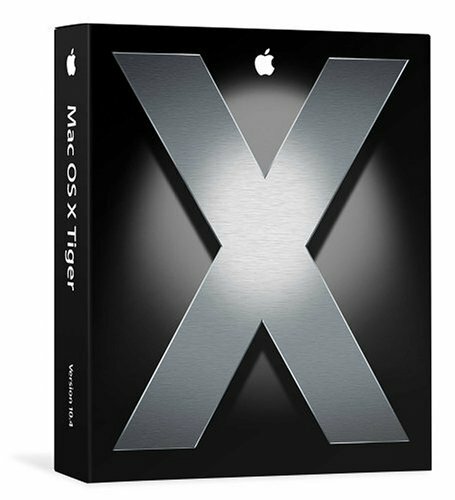 Alright I know this is a tad unfair comparison, but even so you can buy a boxed set of Mac OS X Snow leopard complete with iLife and iWorks for £95 on Amazon. Who’d have ever though Apple would win on cost. My bug-bears with Windows are already well publicised but there are also e a few things with the MAC that drive me nuts too. The most annoying thing for me is not having proper functioning delete key on the MacBook Pro keyboard (well at least I haven’t found one yet). The DEL key operates like a Backspace key and deletes the character to the left of the cursor rather than the character at the cursor, duh! You can get it to function like a DEL key by holding down the Fn key first, but this is so annoying. Looking at the reams of stuff on this very topic online, I’m not the only one who finds this annoying. Another annoyance is that certain Windows do not maximise to full screen even when you click the green circle and I find I have to drag the margins manually. Why is this? iTunes, Safari and Mail, all of which are Apple programs and probably some of the most frequently used by Mac OS X users. So why do they all looks so different? It would be nice to see some consistency of style adhered to. And lastly, boy is it difficult to rename files. In Windows it’s a simple right-click and select Rename (or F2) and you’re in the edit mode, but in OS X you have to click with the mouse, very precisely in fact, otherwise you will end up opening the file … ugh! Please remember that these are only MY opinions I have expressed as I know some of you may vehemently disagree with many of them (if not all? ), but hey, debate is good isn’t it? It seems people who have grown up in the MAC camp will never like Windows, and many won’t even contemplate anything to do with Windows at all, whereas those who have lived with Windows, like me, in recent times have been tempted to switch due to Microsoft’s well publicised short comings. What’s usually the consensus is that you are either fully for the Mac or a full Windows aficionado; seldom do people sit on the fence. I must be a strange fish, but I can honestly say at the moment, I’m neither swayed one way or the other. Both current systems have their strong points, and both have their failures. In some respects I’m probably never going to escape Windows as it’s the system of choice for most of the large corporations, especially within my field of work. Windows software is more prevalent, more accessible, provides far more choice and is, in general, much cheaper than equivalent Mac software, although all these things may change with time and Apple’s increasing popularity. One thing I will state though, if it hadn’t been for Apple switching to Intel processors and providing the ability to run Windows on a Mac, then I probably wouldn’t have even contemplated giving a Mac a go. I have Parallels installed on my new MacBook Pro and I must admit it’s a pretty dam impressive piece of software. 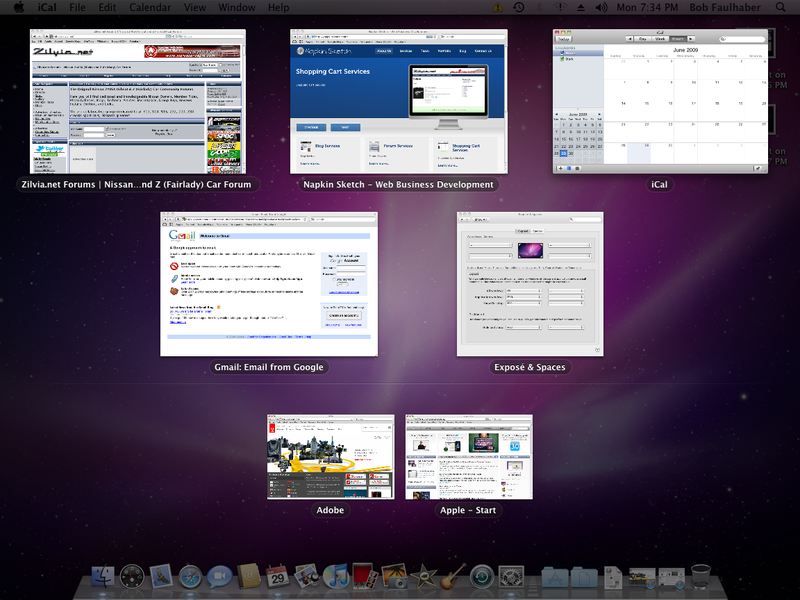 It allows me to run Windows quite seamlessly within Mac OS X and enjoy the best of both worlds. I think I remain, at the moment though, firmly having a boot in both camps. Whether I will begin to lean one way or the other only time can tell. If you’re thinking of switching OS or have done so recently, I’d be most interested to hear your reasons why and what you thought of the switch? Don’t you just hate it when you upgrade a piece of software only to find that it doesn’t work as it did before. It’s just so dam infuriating. I really don’t understand what goes through developers heads when they do this. They just don’t seem to realise just how pissed off it makes the users feel. Perhaps they just don’t care. My rant this time is about Microsoft (yes, that company again! ), and Windows Live Writer 2011. And before you get all picky with me for berating Microsoft, yes I do realise that this is free software, but that still doesn’t give them a reason to go and spoil it. I’ve used Live Writer to write just about every blog I’ve written and until the 2011 version I’ve be pretty satisfied with it’s functionality and ability to do the job. It was just about the best blogging tool out there … until the 2011 version that is. Unfortunately I foolishly agreed to one of those persistent and most irritating messages from Microsoft instructing me to install an ‘important update’ and before I realised what I’d done, my Live Writer had been ‘updated’ (read destroyed). I didn’t realise the consequences of what I done until I next opened Live Writer only to be greeted with that Microsoft abomination, the dreaded Ribbon. Gone were my easy-to-use tool bars, icons and menu and suddenly I can’t use the program like I did before. Now I have to hunt to find where everything has gone. Thanks a lot Microsoft. Is there any option to restore the old interface (that err, worked rather well), nope, not a chance. But wait, how do I open an old blog to edit? You can’t, not unless it’s one of the last 9. Excuse me Mr. Microsoft, which one of your idiots thought of that idea? And how do I specify the size of a picture when opened up in a new window … this was easy in 2010, but I haven’t find out how just yet. OK, OK, I hear you say, give it a chance. Well I have, I’ve tried for a while, I really have, but I still can’t do things I used to do so easily in the last version. It has genuinely hampered my productivity and I’m at the ‘grumpy old man’ stage in life where I’m just not prepared to accept change for change sake. Now, does anyone know how to get the old version back, ‘cos I for the life of me can’t see how? If that’s not possible, can someone please recommend a some good blog writer software? Recommendations, advice and assistance gratefully received. You’ll probably wondering what an article an about the Apple iPad is doing in my photography blog. Well, so am I, really. But hey it’s my blog and it may just have some relevance in a rather convoluted way. You’ll notice I’ve stated View and not Review as I don’t intend to review the capabilities and functionality of the iPad. There are far too many reviews out there already from better qualified people, so I couldn’t really do it justice in that department. But I will however, present some of my opinions on why I may just be heading down Apple Way. I’ve been contemplating trying (buying) a Macbook pro for quite some time now (thus comes the relevance). If you have ever read my review of Windows 7, you’ll know why, but to put it in a nutshell I’m pissed off with Microsoft. For years I was a huge devotee and happily enjoyed each stage of Windows evolution, and by Windows XP SP2 felt pretty comfortable with a then stable OS system. Through work requirements, although never a huge fan, I grew to become a competent user of Microsoft Office, particularly Word and Excel, although Outlook has always left a sour taste in my mouth. Like similar persons of ‘my age’, my first serious foray into word processing was via the text-based WordPerfect and later the windows version, which at the time, was light years ahead of any thing Word could produce. For spreadsheets it was Lotus 1-2-3, and then the fabulous Quattro from Borland, but eventually, by a process of attrition, Microsoft’s world dominance and client demands, I found myself having to use MS Word. Word is quirky, a tad clunky, and sometimes not the most intuitive program to use, however, through some not inconsiderable time, I’ve become accustomed to all it’s quirkiness and would happily describe myself as a competent and experienced user. That was until, the dreadful Office 2007 and the hideous Ribbon! Having spent a considerable number of years using Microsoft products and so many hours of my life invested in becoming an experienced user, Microsoft, in it’s infinite wisdom, suddenly decided that the toolbar style and menu style interface that we all were perfectly at home with was no longer valid, and turned to some school teacher to design the ‘Ribbon’ interface. This, I’m afraid, simply awful implementation of a UI is so obviously designed for school children. But can we have our grown-up toolbars and menus back? No way! Microsoft has decided we can’t. I’m afraid this is where MS have simply become far too big for their boots. I’ve tried Office 2007, several times, but have simply given up since I just don’t have the time nor inclination to relearn what I know works in Office 2003. For Microsoft to not give users a choice of UI is absolutely unforgivable and a monumental mistake. Nobody likes being imposed upon. And now we come to Vista. A defining moment in Microsoft’s history without doubt. Quite simply the biggest OS flop, period, and the best bit of advertising that Apple has ever had..and for free too! Vista looked flash for sure, when it worked that is. But was (still is?) the most unstable, and certainly the most annoying modern OS ever released. Unfortunately for me, a defunct desktop, meant a replacement with Vista. 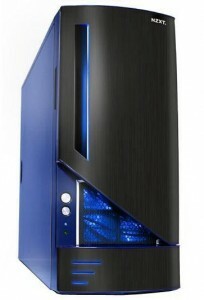 I also plumbed for a system supposedly tailor-made for photo-processing comprising an over-clocked quad core processor, 8GB ram and wait for it…..Vista 64 bit OS. Huge mistake! Not only did half my hardware not work because there were no 64 bit drivers around, you also had to get used to daily crashes, the green line of death (a change from the BOD but just as deadly), and the incredibly pedantic and most annoying implementation of UAC (User Account Control) there ever could be. Vista just wasn’t stable, and would drive me up the wall. Herald the arrival of Windows 7. It got great reviews, and I had just about reached a point where I was sorely tempted to remove Vista and down grade (or perhaps that should be upgrade) to Windows XP 64 bit. More fool me… I waited and eventually decided to give MS just one more chance. I’ll say it again, one more chance! Windows 7 is certainly more stable for sure, it’s workable, but it still crashes, and it’s 95% Vista code with the same Vista bugs. But hey, haven’t I already paid for Vista? Yes. Then 95% of what I’ve paid for I already have? Yes. And that didn’t work too well either? No. And you paid how much? 175 quid! Boy have I been ripped off. Yes the great MS rip-off has conned millions, myself included, big time. Windows 7 is really only a Vista Service Pack in disguise, putting right the things that didn’t work. But SP upgrades were free in the past weren’t they? Yes. But not this one. When first installed Windows 7 uses a default task bar designed with huge icons for a touch screen PC. Who the hell has one of those? I think the first thing everyone does, is re-configure the taskbar back to the previous incarnation. What I find so annoying with Microsoft is that they are imposing things upon us and not giving their seasoned users the choice anymore. I know many people love the Office 2007 ribbon, I don’t, I hate it. I want the choice to choose which interface I use. Will they listen? I don’t think so. And so at last to the iPad. When they first came out I just couldn’t see what all the fuss was about. A large iPhone duh! But whilst eyeing up a 15-inch MacBook Pro at my local Apple store in Sheffield, I and my two kids listened in on a quite knowledgeable young sales girl demoing the iPad to a potential customer. Well I was quite taken, so were the kids. This I thought, was the ideal device form my wife and what with her birthday coming up, and having no idea what to buy the woman who already has everything (sorry darling). How about an iPad? My wife (I hope she won’t mind me saying), is a complete computer numpty. She has many talents, but operating a simple PC is just not her thing. Other guys in my industry who work away from home like me, receive regular emails, pictures, skypes and videos from their other halves. Me, well I’m lucky if I get 2 or 3 in a year. However, with an iPad maybe there’s hope. It’s so beautifully simple. That was a couple of months ago and I judge the iPads success by how many emails I have received from my wife whilst I’ve been away overseas. In that case it’s a barnstorming success. I’ve had more emails in the last month than the previous 3 years put together. And guess what, she’s even using Skype now too. The iPad has been great for that and the kids can join in too since the built-in microphone is good enough for conference calls. It works a treat. I know for many of you this is pretty basic fodder, but for us it’s a huge leap forward. My wife now happy browses the internet, buys stuff on Amazon, checks out the school site, communicates with her friends and many more things. She’s using the scheduler, notebook and contacts list, and playing Sudoku and the kids have been downloading games. One thing Apple have really cracked is the touch screen keyboard. I’ve always hated such things but this one just works perfectly. The iPad is elegant, simplistic and a joy to use and probably the most convenient tool I’ve seen to browse the web with to date. It’s been a huge hit in our house all round. The kids are now fighting over it and Dad has had to say it’s Mum’s device hands off. I’ve enjoyed using it too. It’s great for browsing whilst sat in bed so I can envisage a ‘his’ and ‘hers’ iPad in the not too distant future. Apple have a real hit here, and once again have set a new standard in the computer industry. I had though at one stage of buying the wife a netbook. The netbook is dead. One the down side, there are some limitations, and things I miss. Having to do every thing through iTunes is a real pain. Not having the ability to connect an external USB HD or memory stick to download all your favourite photos, documents, music or videos directly is a huge oversight as is not having a USB port. And Apple still insist in not supporting flash, a technology embedded in over 70% of all websites. I really don’t understand that one. 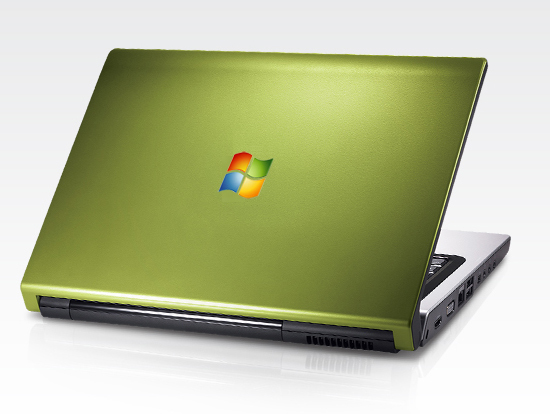 Windows 7 – is it worth it? I don’t know about you but I have found Vista to be the most frustrating Windows system I’ve used to date, and I’ve used almost all Windows versions since 3.1. I’ve had more crashes, BSOD’s (blue screen of death) and system hang-up’s whilst using Vista than I’d care to shake a stick at and at times I’ve sworn I’ll never touch another dam Microsoft product ever again. There’s no two ways about it, Microsoft well and truly lost the plot with Vista and have alienated more users than anyone thought possible.